Patrick Allaert is a freelance system engineer and founder of [LiberecoTechnologies, a Brussels based company specialized in PHP services. 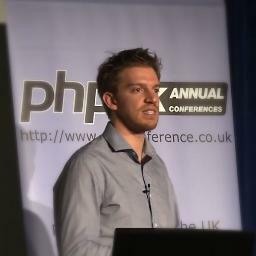 Using PHPsince the early days of PHP 3, he is contributing/hacking on a wide variety ofprojects including PHP, [eZ Publish http://ez.no/], Linux and KDE. In his spare time, he workson the PHP monitoring extension: [APM http://pecl.php.net/package/APM] forwhich he is the lead developer, that doesn't give him much time to [bloghttp://patrickallaert.blogspot.com/] or to tweet (@patrick_allaert).